- Happily Ever After, Etc. Growing up as an Army brat there were no opportunities to paint our home… our walls were basic white and that’s how the Army liked it! I had white walls and very little knowledge on anything paint related. Once I was out on my own I was finally able to paint but I had to start learning from the bottom… ground zero. I remember buying a can of paint for Mom’s craft room… several hours later we had plenty of facebook worthy photos but we still didn’t understand the difference between this gallon and that gallon. Paint was a foreign subject that we had yet to master. If you’re anything like I was then standing in a paint store staring at the dozens of options can be very confusing and don’t even get me started on achieving a professional finish. Now I spend my days working in the paint store… I’ve mastered the differences between this gallon and that gallon and could tell you exactly which roller will give you the smoothest finish. I’ve become the Paint Lady! Readers (and customers) just like you have asked each and every one of these questions. 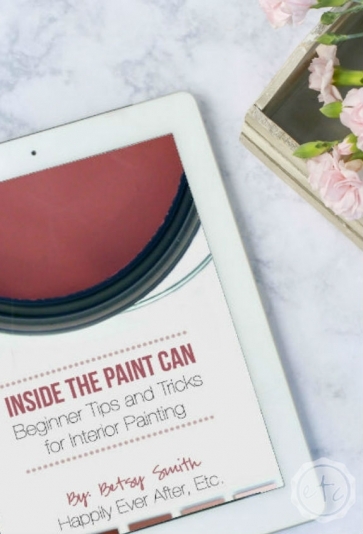 Painting your home can be a daunting task but it doesn’t have to be! 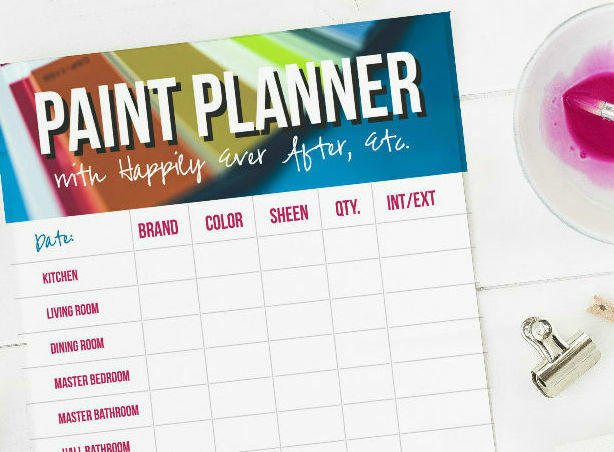 While I can’t make the physical work any easier I can lay out an easy-to-use road map for painting your entire home. 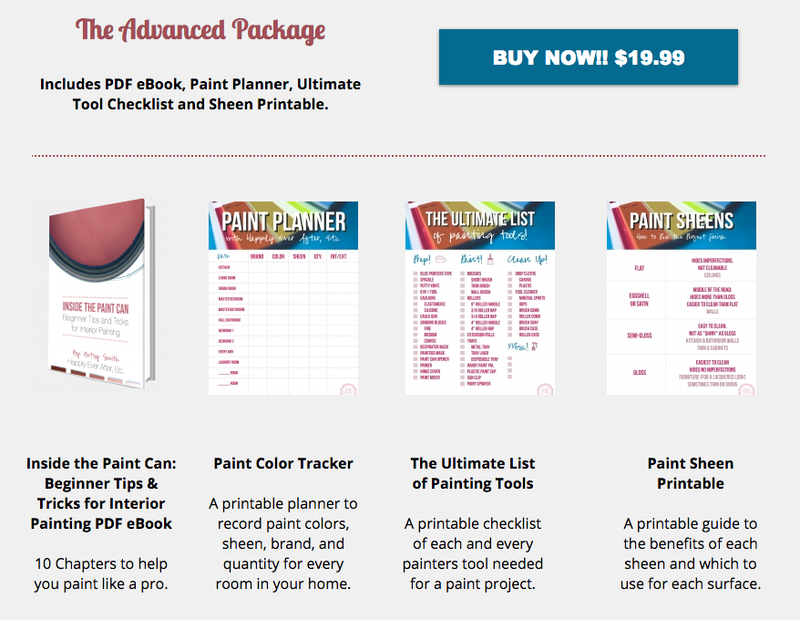 Why wait when you can learn how to paint your home right the first time… so that you can enjoy it for years to come. Where Do I Get My Copy? 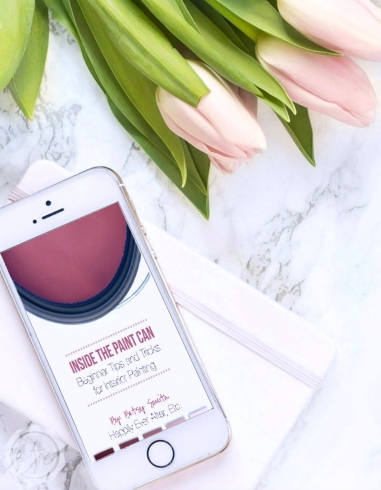 Chapter 2: Primer… Aren’t all Primers the Same? 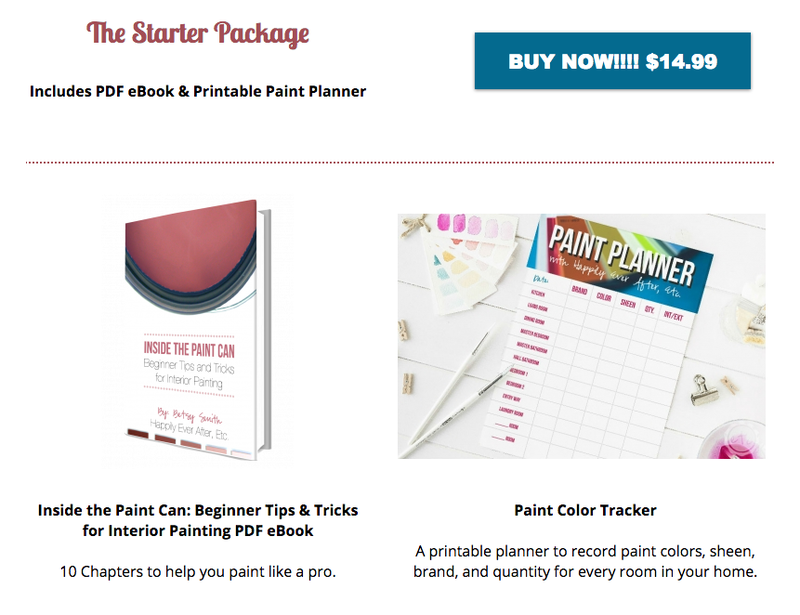 2.1 What about Paint & Primer in One? 2.5 Sanding: Do I Need to Sand my Walls? Chapter 3: Price… is it Really Worth it? 3.1 Why is One Brand Worth More than Another? 4.6 What if my House is Stained? 5.1 How Much Paint do I Need? 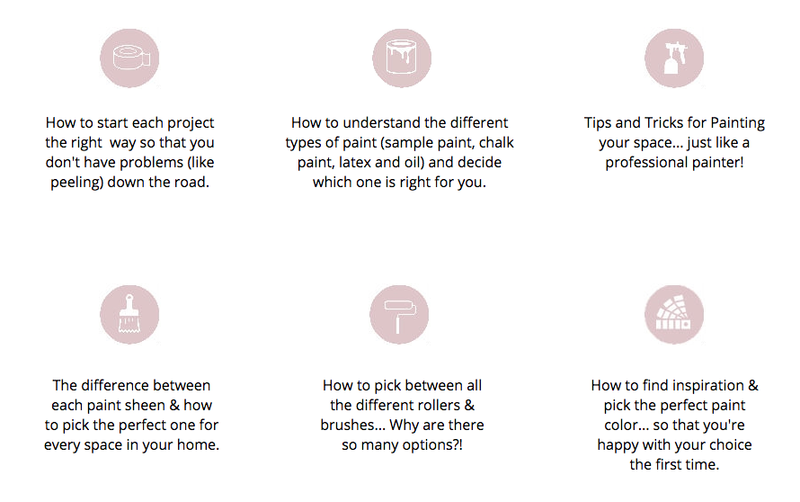 5.2 Step-by-Step: How to Paint Your Space! 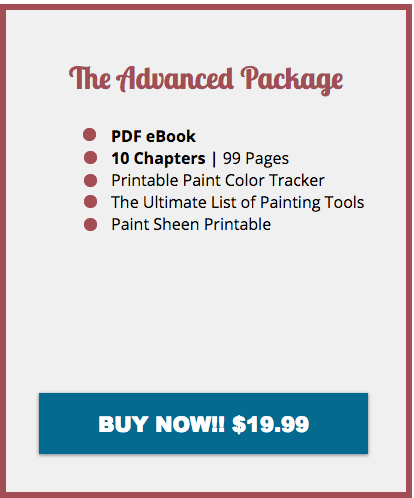 Chapter 6: What Paint Sheen Do I Use? 7.2 A Good Brush Costs WHAT? 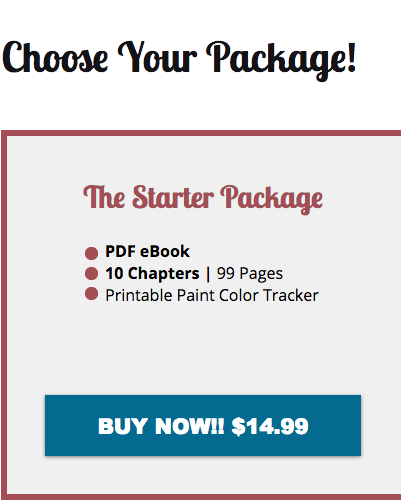 10.2 Paint ColorsBonus Chapter: But What Does it Look Like? 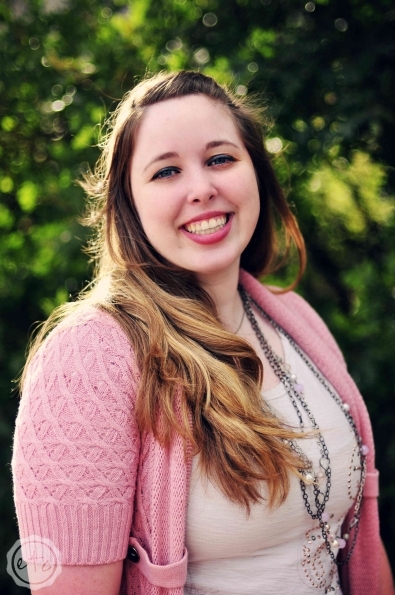 I’m Betsy: Home Decor Enthusiast, Yorkie Mama, Crafter, Picky Eater, Chief Mess Maker, Antique Hoarder, Graphic Designer, Paint Lady and the girl behind Happily Ever After, Etc.In between figuring out life as a newlywed, a full-time job selling paint and full-time school for my honey you can generally find us working on (attacking with a paintbrush) the three bedroom home we are currently renting. 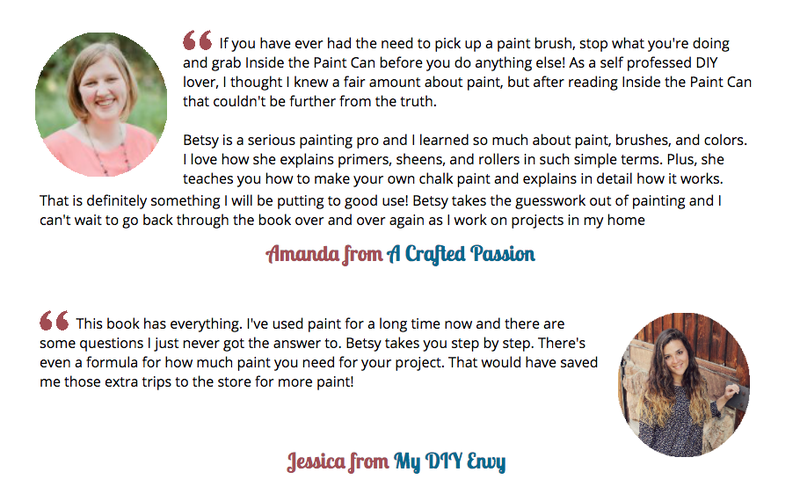 While it might not be perfect it is ours, and if you hang out with us for a while you’ll see that what we lack in know-how we make up for in passion.These days you can typically find me up to my elbows in paint and as the questions come pouring in I quickly realized that you have questions… and I have answers! 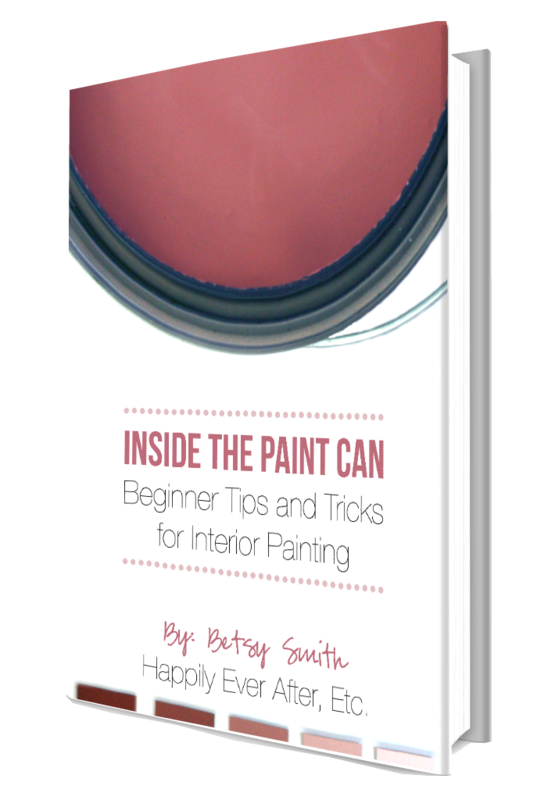 So I sat down to write a book that answered each and every one of your questions… and Inside the Paint Can was born.